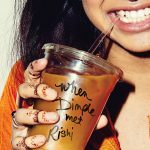 Can’t get enough of When Dimple Met Rishi? Sandhya has you covered: she’s created a quiz so you can find out if you’re a Dimple or a Rishi! Take the quiz and let us know your results in the comments!